I was just hanging out at home, relaxing on the couch. 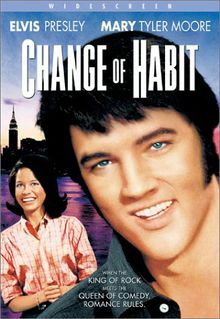 The Encore channel was on in the background showing an Elvis and Mary Tyler Moore movie, Change of Habit. When all of a sudden, I heard the key word “autistic”. After enduring several hours of this procedure, she eventually speaks her first word “mad” and is magically cured!! She becomes compliant, giving perfect eye contact, responds to her name, and even enjoys physical contact with others. Her “hatred” is gone. Well for starters, it’s an amazing snapshot of the myths and misconceptions people had about autism in the late 1960s. People were so misinformed, and autism was so misunderstood. The disorder was blamed on neglectful or unloving parents. 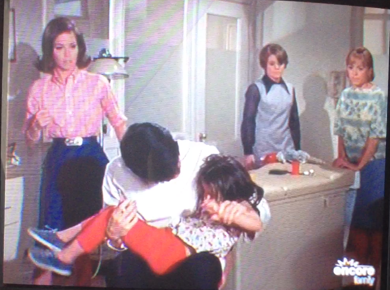 The treatment revolved around freeing the frustrated child of their hate and anger. And this movie suggests a cure exists. Just hold your child until they can fight no more, and all of the sudden they will be happy and compliant children! For me, watching it was equally astonishing and interesting, not to mention kind of humorous. (Could people have really believed this stuff?!) How awful for parent’s raising autistic children in this era! It was uncommon and un-researched. How judged parents must have felt. How many ethical dilemmas they must have faced when deciding on treatment for their kids. It’s shocking how we used to think about autism. It’s amazing how far we’ve come in understanding this disorder. While at the same time, I realize how much we still don’t know.